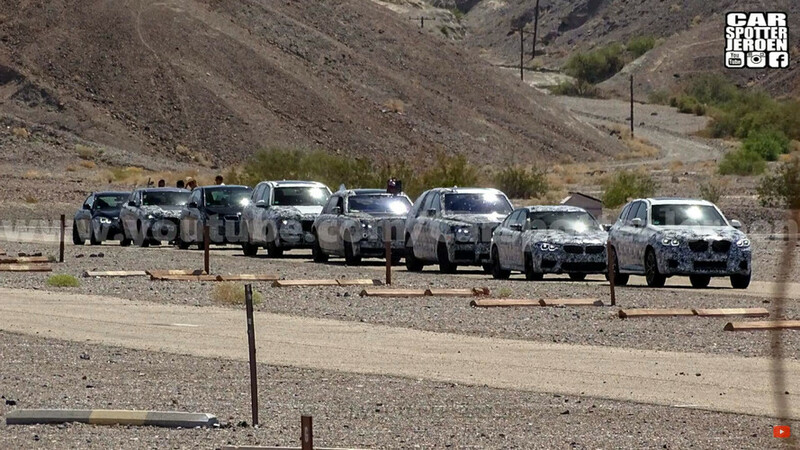 Official reveal can't come soon enough. 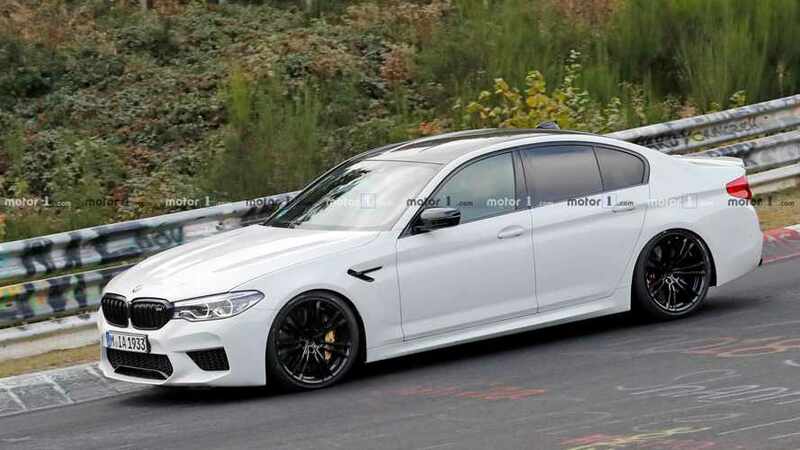 The official debut can't come soon enough. 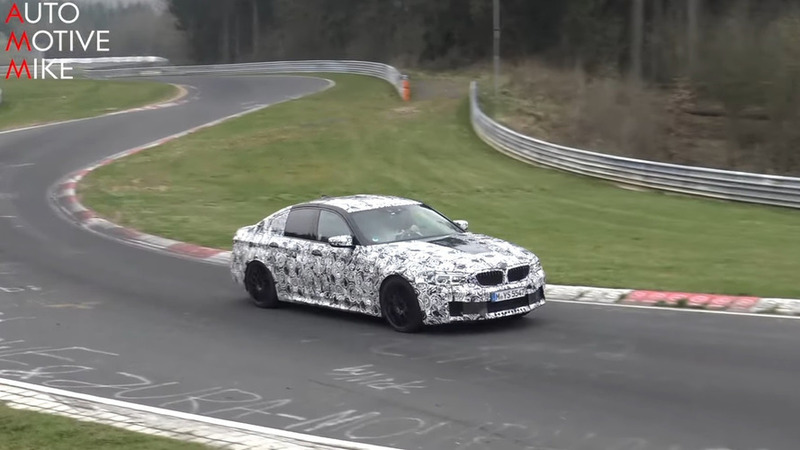 Here we see the super sedan in its natural habitat — at the Nürburgring. 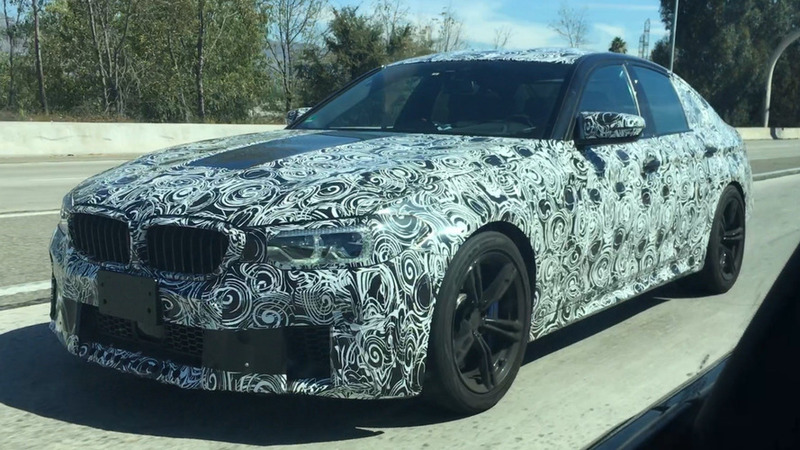 The all-new M5 has been spotted cruising on a highway in Los Angeles hiding its aggressive body underneath some heavy camo. 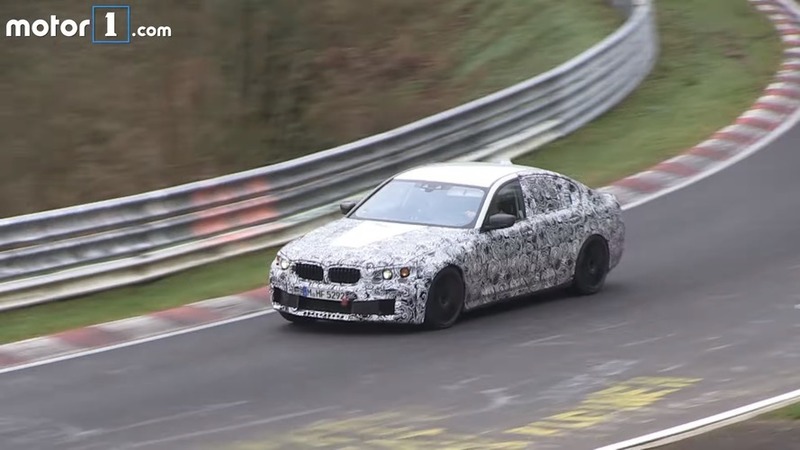 The screaming high-powered sedan was being pushed hard on the Nordschleife by BMW's test driver. 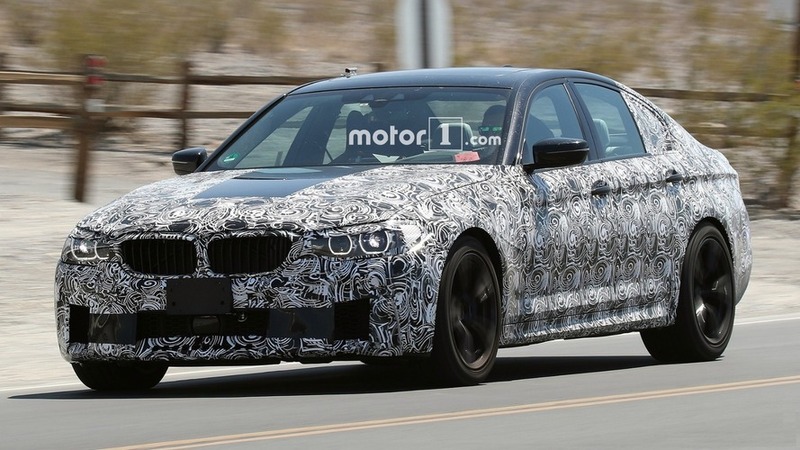 The high-performance sedan will likely arrive next year. 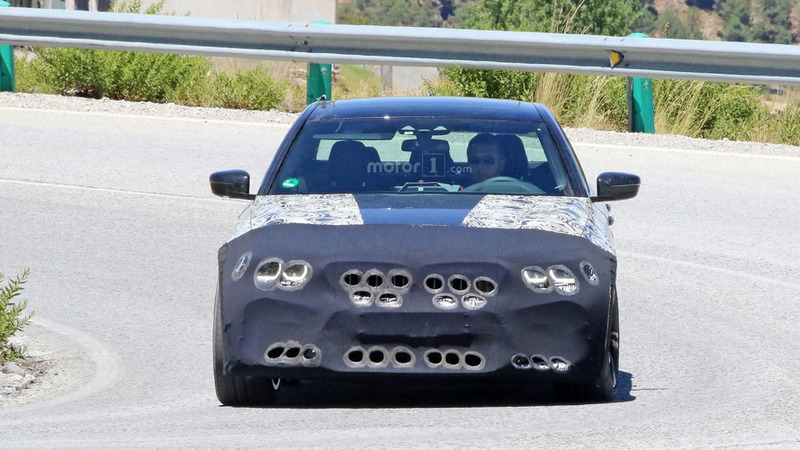 The prototype's weird front fascia disguise seems to be masking a pair of beefier intakes. 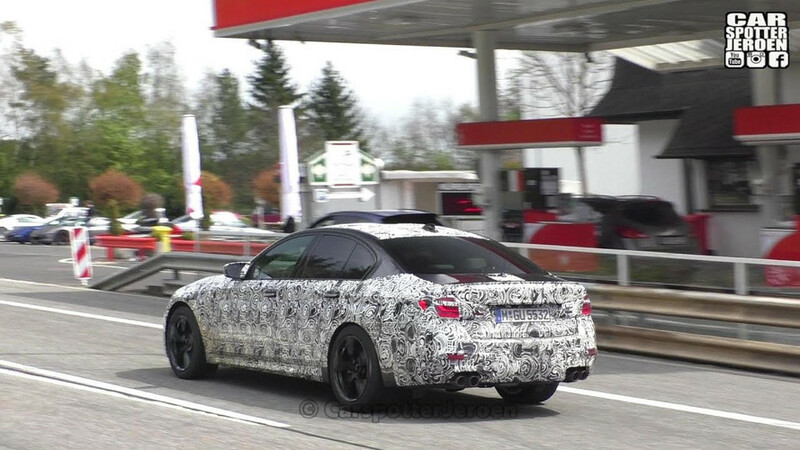 Today we bring no less than 38 spy photos with different iterations of BMW’s all-new 5 Series. 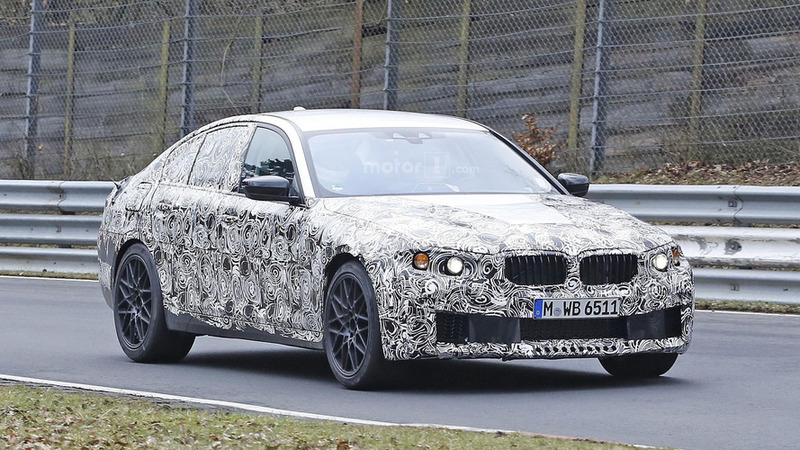 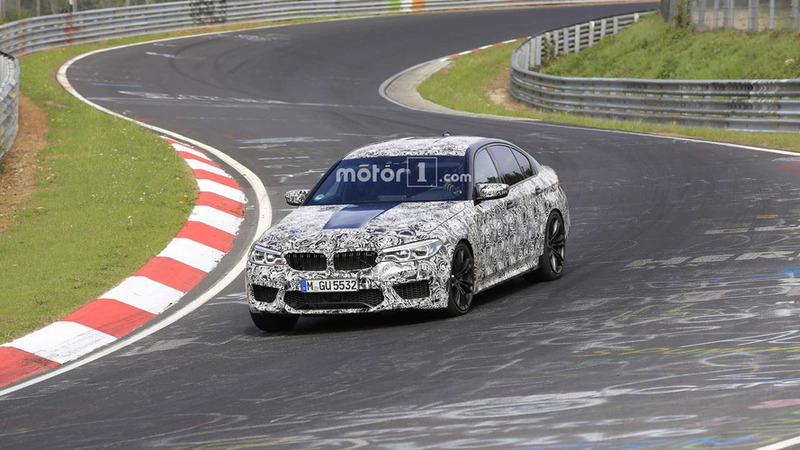 Latest spy content from the ‘Ring shows the new BMW M5 with a different front bumper. 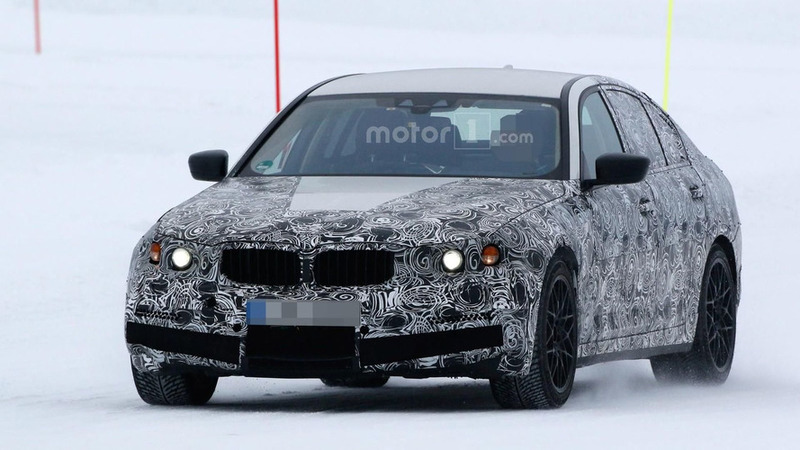 The 2017 / 2018 BMW M5 has been spied undergoing cold weather testing in Scandinavia. 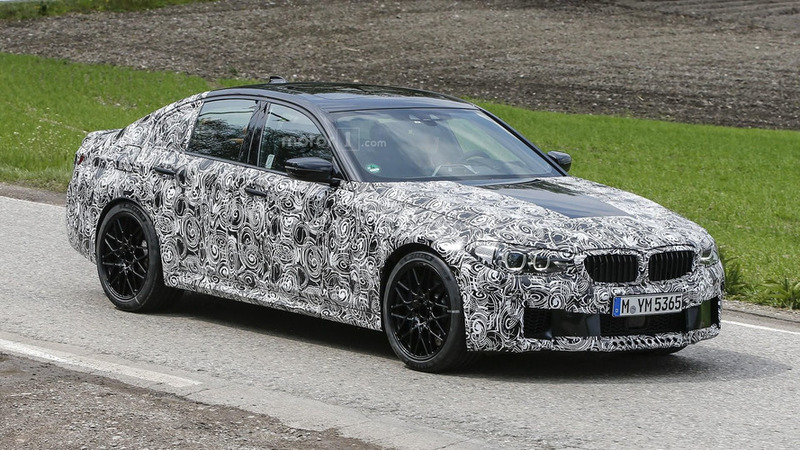 Dressed in swirly camouflage, the high-performance sedan has a fairly restrained appearance but features a prominent twin kidney grille and lightweight alloy wheels that are backed up by a high-performance braking system. 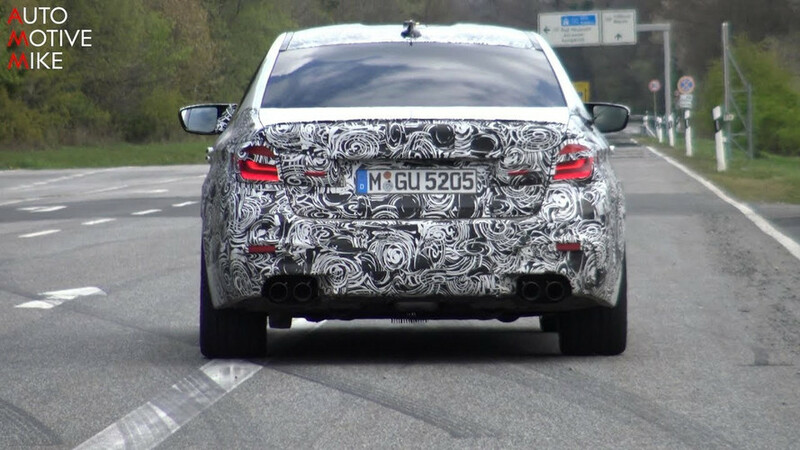 The model also features a four-tailpipe sports exhaust system and a badge that signifies the car is doing a "Government approved high speed safety test."